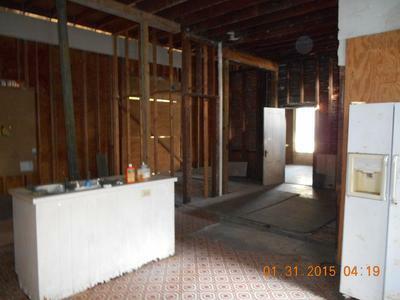 Blue Orbs in House I am buying. Picture of Master Bedroom, notice the small blue lights in upper left corner. 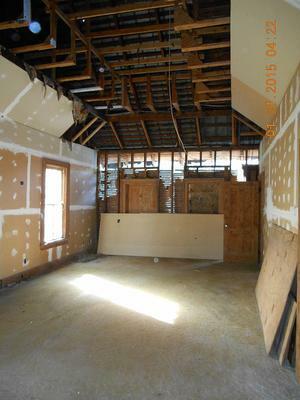 My husband and I are in the process of buying a home built in 1882. I took 129 pictures with a digital camera. When I returned home and loaded the pictures onto my computer, at least 20 pictures had white or blue circles in them. 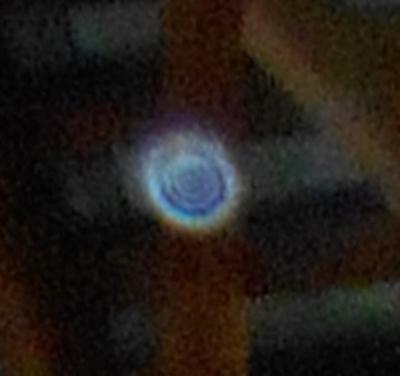 I zoomed in on the circles and discovered they are what I believe to be orbs. They have texture and what appears to be a nucleus. Very interesting. Please let me know what you think. Comments for Blue Orbs in House I am buying. What about the other ones! Just took this pic of our Bedroom we just finished redoing with a couch n it a relax spot to do computer work or etc! 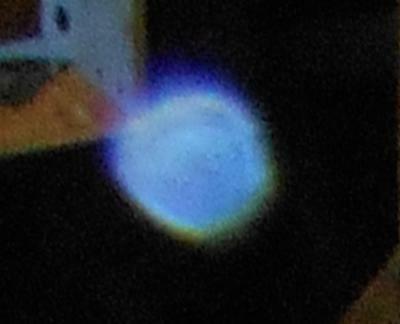 And was SHOCKED to see this BLUE ORB. We have been cleaning out houses n repairs for an Invester for 2 years n we have seen a lot. I AM A TRUE BELIEVER NOW.. BUT I am happy to say this home we r in now is n has been so clean compared to others. Kat & Zak... Tamaqua Pa.
Oh, I can't even imagine what is that! But it really looks scared. I think that buying this house isn't a good idea) Please keep me updated about any news or changes. And do not hesitate to contact with professional writer at www.custom-paper-writing.org and receive paper advices at any suitable time! Wow, it looks scary a little)) What you will do? Will you buy it? Very nice building. I think it will look awesome after the repair. It's very important to live in a comfortable place. It helps do your work perfect, because tranqulity inspires one to create masterpices, especially when you are a writer. If you need high quality custom writing help - just enter http://academic-writings.com/. Don't you think that it is just the beams of the sun projecting onto camera lense. But what I know for sure is that this http://best-essays-writers.org will never let you down and provide you with the 100% plagiarism free work. I'am thinking you should stay here for a moment! I have seen dust in many colors and yes it is dust. I lived in a house that had dust in every picture I took and depending on the light it would change colors so it is just DUST!